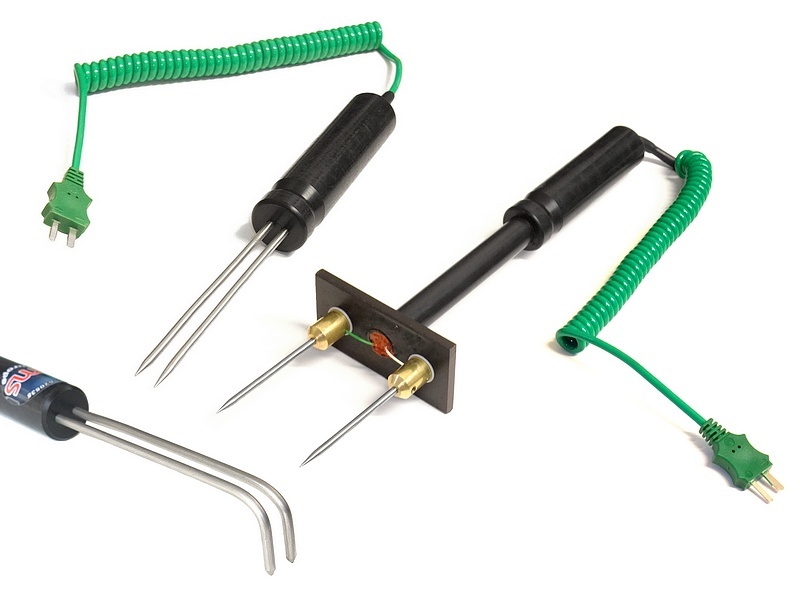 TMS Europe’s range of hand-held thermocouple probes are designed for: immersion, in a liquid; surface, placed in contact; insertion, into a solid; air or within an air flow. 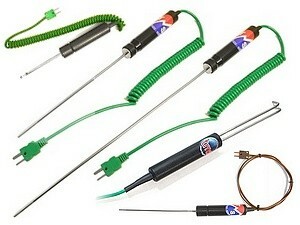 Immersion probes, used in liquids or semi-solids and have a flat or rounded tip. Insertion probes, used to pierce solids and are often used within the food industry and have a pointed spear tip. Contact probes, used to monitor surface temperatures and have a sprung loaded or bulbous ribbon head. Air probes are used to monitor air temperatures in ducting or flues in ducting or flues and often come with an exposed junction, which aids response time. 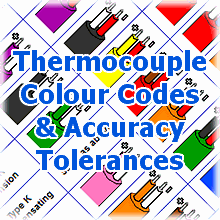 Probes are available in K, N, & T thermocouple types to cover temperatures from -250°C to 1300°C. Sheath diameters come in stainless steel at diameters 3mm to 6mm or as a mineral insulated type diameter 1.5mm to 6mm. All supplied with a 100mm long nylon handle (metal handles available on request). Many have 1m PVC spring shaped coiled leads for easy of use, but PTFE and other materials are available that can withstand contact with hot surface and are resistant to chemicals. Most come with a mini plug for connection to a hand-held digital thermocouple thermometer. Standard sizes are available from stock on the TMS Webshop. The ‘Vampire’ thermocouple probe is a very accurate way of measuring metal and other electrically conductive components/surfaces. Normally the problem with using thermocouples to measure surface temperature is twofold. Firstly making good thermal contact and secondly the tip of the thermocouple conducts heat from the surface thus lowering the temperature it measures. The points of a ‘Vampire’ probe make good contact (and only if good contact is achieved a thermocouple circuit is made). The small point in contact with the surface in relationship to the whole thermal mass of the metal object who’s temperature is being measured means accuracy is achieved at very little cost. See our ex-stock range of vampire probes in the Hand-held Surface Probes section of our Webshop.